The Community Exchange System (CES) is an Internet-based trading network which allows participants to buy and sell goods and services without using a national currency. While the relatively new system can be used as an alternative to traditional currencies such as the dollar or Euro or South African rand, the Community Exchange System is a complementary currency in the sense that it functions alongside established currencies. It is international in scope. 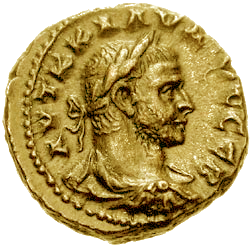 It does not have printed money or coins but uses computer technology to serve as an "online money and banking system" or alternative exchange system and as a marketplace. It is an advance from an arrangement in which either one good or service is exchanged for another good or service, or commonly called barter, since it uses a digital unit of value. While there are reports that the system is growing, in 2011 the system handles only a tiny fraction of international world commercial activity. While money typically takes the form of a national currency such as dollar bills or euro coins, there have been other types of currencies ranging from simple IOU notes––in which one person declares a debt to a second person in a written document––to more sophisticated programs such as airline miles in which points are accumulated in a side-system as a result of purchases. And some communities, typically remote ones, have instituted what is sometimes called a community currency with paper notes such as the Totnes pound in the town of Totnes in the United Kingdom; the idea was to promote local commerce and to "keep money circulating within the town's local economy," according to one report. The advent of Internet technology has made alternative forms of exchange more viable, according to one report, as databases can keep account of credits and facilitate trading. 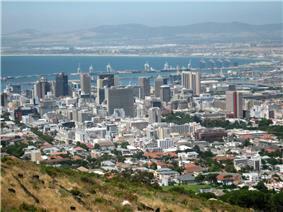 The Cape Town Talent Exchange began around 2002.Photo: Cape Town's city centre seen from nearby Lion’s Head mountain. The system known as the Cape Town Talent Exchange began in February 2003 in not-for-profit exchange which was similar in most respects to what is termed a local exchange trading system (LETS) which record members trading goods and services using a locally-created currency called LETS Credits. But the exchange evolved into a more complex system which took advantage of Internet technology to reduce the costs of administering the system and allowed its promoters to extend it to other places, including areas outside of the borders of South Africa. The software permitted the exchange in one city to link up with similar exchanges in other cities to form a global network. Reports vary about the number of complementary currency exchanges linked up in the network. One report in 2011 suggested that the network consisted of 100 linked exchanges which operated in 15 different countries; a second report counted the number of exchanges at approximately 300 in 30 different countries. One estimate was that there were 2,000 members in 2006 with a total of 6,700 members in 50 groups in eight countries. By 2011, the number of participants in the Cape Town Talent Exchange was estimated to be 4,000. A report in Time Magazine suggested that alternative forms of money are "growing in popularity" in places such as South Africa and elsewhere. Since 2003, when the system was initiated, there have been about two and a half million talents traded, which was about 500,000 South African rands, according to one estimate. One estimate suggested that the total value of local exchange trading systems trades worldwide was one billion South African rands in 2004. The CES web site reported that there were 485 exchange groups hosted on its global server at the start of 2013. These were located in 53 countries, with another 37 Australian exchanges on its Australian server. A person wishing to join can sign up with a particular local exchange via the Community Exchange System website. He or she gets an account and makes an offering. At this point, the person is considered as a registered member which gives them access to an online community, sometimes described as an online shopping mall which is similar in some respects to a social networking website. The person can then offer to sell goods or services, and as work happens, or if the person sells items or services, their credits accumulate, which in turn allows them to buy things on the exchange as well from participating sellers or merchants or service workers. Generally, each exchange has its own currency or unit of measurement which serves as a recording mechanism and default standard to keep track of values as they are transferred. Most exchanges operate according to principles of mutual credit, time banks, or some even use exchange-specific paper currencies as a portable physical record documenting the electronic credit. The registered member via the Internet accesses a host server which manages a particular exchange, and this access enables a user to link up with other exchanges. Generally, there is not a fixed exchange rate between a Community Exchange System unit of value and a national currency; rather, values fluctuate. Database software keeps track of which persons have which amounts of "money". And in South Africa, proprietary software keeps track of Community Exchange System (CES) Talents; one ambitious plan is to make Khayelitsha, a vast, desolate township of perhaps 1 million inhabitants near Cape Town, a self-sustaining community. Generally, members are not allowed to accumulate either too much debt or too much credit on the system. When a deficit builds up, other members generally will usually stop trading with such a person until the person does more work or sells more items or services; when an individual person's credit becomes too extensive, other members will urge that person to begin trading to bring down this amount. It is taxed like any currency and a "nation's tax rules apply ... just like national currency." If a particular member does not have a computer or lacks Internet access, it is possible for a local area coordinator to enter the trade for them into the system. Advocates suggest the Community Exchange System is a "means of empowerment" for poor people, the elderly, disabled persons or those described as underemployed. An advantage cited is that a destitute person can begin earning credits by working, since it does not require such a person to first have an acceptable credit history or credit score to qualify for a traditional job. Regardless of a person's past financial situation, each person's new contributions have exchangeable value based on the worthiness of their contribution. Proponents claim that it is not essentially different from traditional national currencies in the sense that both types of money are in digital form. Advocate Margaret Legum of the South African New Economics Network claimed that the currency comes into existence only when a trade happens and, as a result, there is no risk of inflation or deflation since "there is no such thing as too much or too little money." She argued that it was a superior arrangement because no interest was charged and that the system was "transparent" because everybody could see everybody else's balance of credits and debits. Money is not used as a commodity in itself - to be lent and borrowed and kept out of use. By contrast, the supply of national currencies everywhere comes into existence as a commercial debt to a bank, without reference to whether or not that extra money is needed to match the supply of goods and services. Persons can borrow or take a loan using the system, although generally these amounts are not large, and there are forces pushing persons to not have either a large deficit or a large surplus in their particular account. And it is international in scope. Other advantages cited include benefits for the environment, being good for remote areas without access to traditional banks, It can be "ideal for launching small businesses or piloting projects without spending cash", according to one view. ^ a b c d e f g h i j k l m "New complementary currency brings out trading talents of locals". Independent Online. October 30, 2006. Retrieved October 1, 2011. ^ a b c d e f g h i "A Wealth of Talents". Mail & Guardian. Retrieved October 1, 2011. ^ Rob Sharp (May 1, 2008). "They don't just shop local in Totnes - they have their very own currency". London: The Independent. Retrieved 2011-10-03. The town where she lives. Brown, along with thousands of her fellow residents in this colourful south-west retreat, uses Totnes pounds: notes printed and traded locally (and decorated with a sepia depiction of the town's main thoroughfare). The idea for the pound – used in 70 businesses round these parts – was introduced a year ago, to promote links between local businesses while reducing reliance on big business. The aim is to keep money circulating within the town's local economy. ^ Yaj Chetty (May 17, 2010). "Current financial system at heart of global woes". Independent Online. Retrieved 2011-10-03. A number of communities around the world have already organised themselves into "transition towns", where businesses trade with local interest-free currencies and multilateral barter exchange systems, building lifeboats in preparation for peak oil and financial meltdown. A good example of this is the Welsh town of Totnes, where the Totnes pound, is being successfully traded. In Cape Town there is a community exchange system using talents. ^ "Timothy Jenkin – Ashoka - Innovators for the Public". Ashoka. Retrieved October 1, 2011. ^ Schwartz, Judith D. (December 14, 2008). "Alternative Currencies Grow in Popularity". Time Magazine. Retrieved October 1, 2011.